CH909Sterling silver bodhi leaf charm with Ganesh. The little ganesh pendant is part of our charmas line. 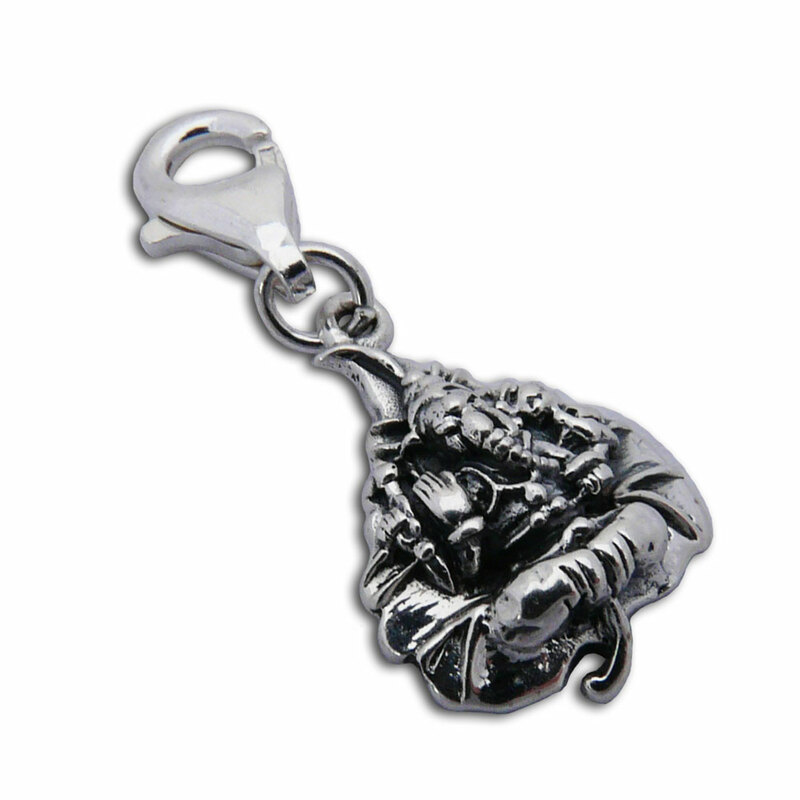 It is a 1.5 cm charm with a lobster clasp to make it easy add to your charm bracelet or necklace. Ganesh is the Hindu elephant god who bestows knowledge and removes obstacles. The bodhi leaf is a symbol for enlightenment.